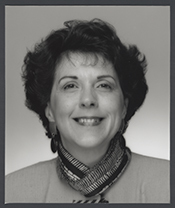 SMITH, Linda, a Representative from Washington; born in LaJunta, Otero County, Colo., July 16, 1950; graduated Fort Vancouver High School, Vancouver, Wash.; manager of seven tax preparation offices; member, Washington State house of representatives, 1983-1986; member, Washington State senate, 1987-1994; elected as a Republican to the One Hundred Fourth and One Hundred Fifth Congresses (January 3, 1995-January 3, 1999); was not a candidate in 1998 for reelection to the U.S. House of Representatives but was an unsuccessful candidate for election to the United States Senate. Linda Smith in Women in Congress, 1917-2006. Prepared under the direction of the Committee on House Administration by the Office of History & Preservation, U. S. House of Representatives. Washington: Government Printing Office, 2006.